In this season, Malaga airport is the gateway for international tourists to Andalusia and the third terminal of the Peninsula with more direct flights, according to Aena. Currently, the airport of Malaga on the Costa del Sol connects Malaga city with 74 terminals. Only Madrid and Barcelona reach this level of air connectivity in the Peninsula, followed by Gran Canaria airport. Despite the high connectivity of Malaga, one of the main demands of the tourism industry is increasing routes to emerging markets, given that there is currently a large concentration of the major European countries. 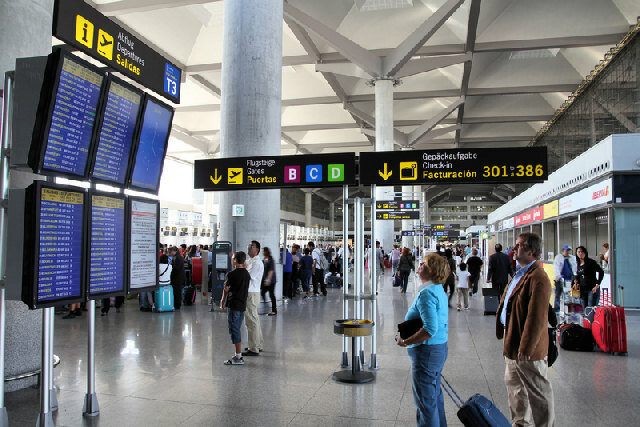 The tourism industry believes that the expansion of Malaga airport is the best argument for converting this terminal into a connection point in the south of Europe for America, Africa and the Gulf countries. Of the 74 current destinations with direct flights to Malaga and the Costa del Sol, an important part of them are concentrated in the UK market. Compared to the UK, contrast the few connections outside the European Union, which basically reduce to Morocco, Turkey and Russia, with direct flights to both airports of the capital Moscow. In this sense, tourism professionals insist on the need to get more out of the Malaga airport expansion since the growth of tourist arrivals from emerging markets is directly linked to the existence of direct air connections. A key example of this is the commitment of Turkish Airlines, which maintains all year flights from Malaga to Istanbul and which has provided to Malaga the possibility to connect with major Asian airports, since the airline offers from the Turkish capital the largest volume of direct routes to Asia and the Middle East.